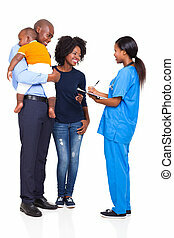 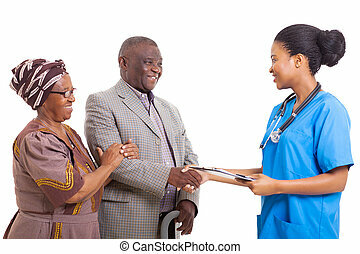 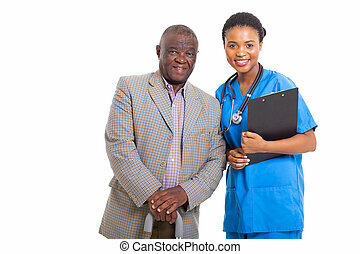 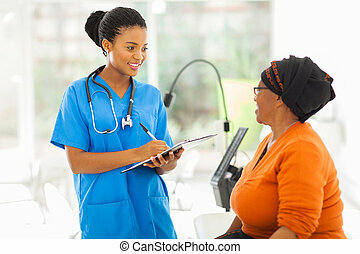 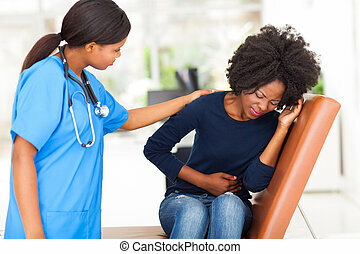 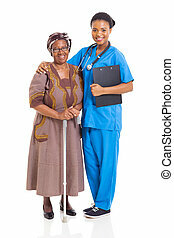 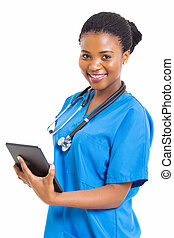 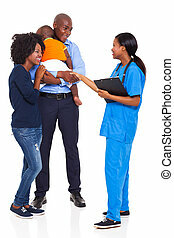 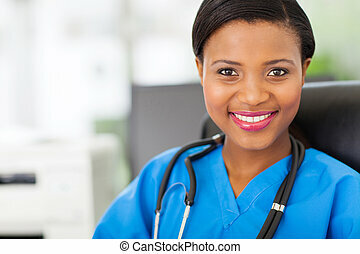 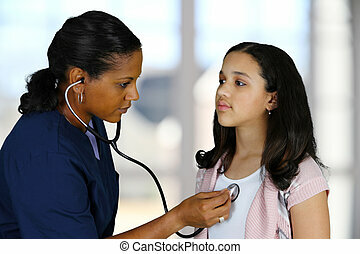 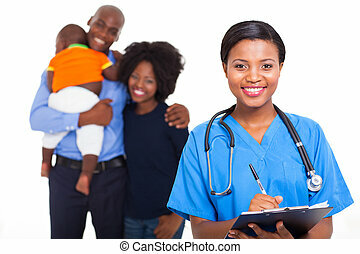 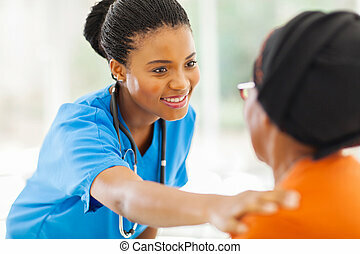 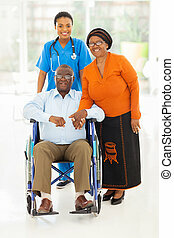 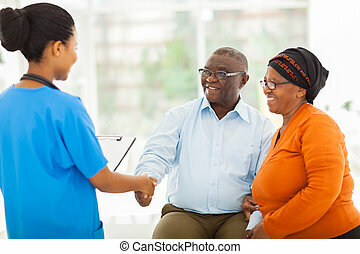 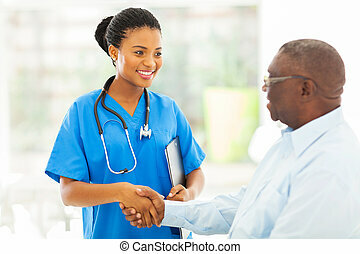 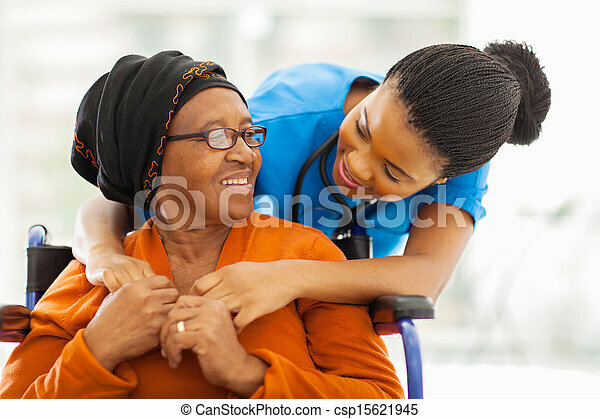 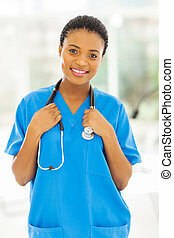 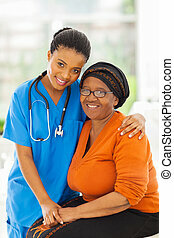 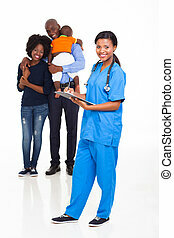 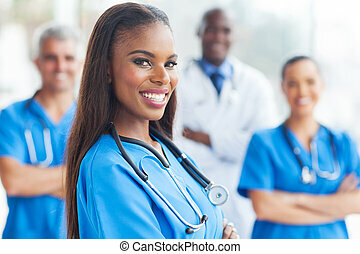 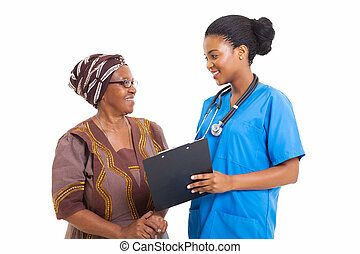 African senior patient with female nurse. 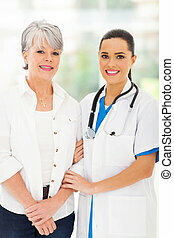 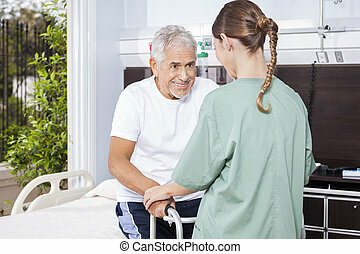 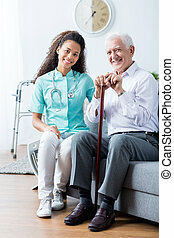 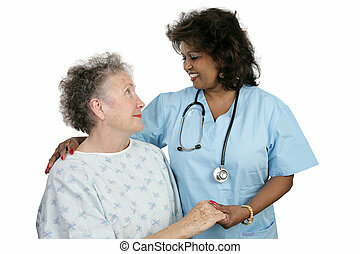 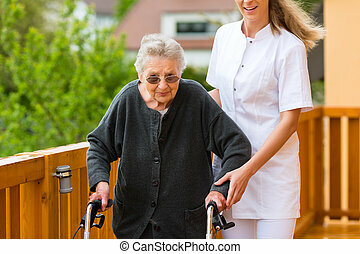 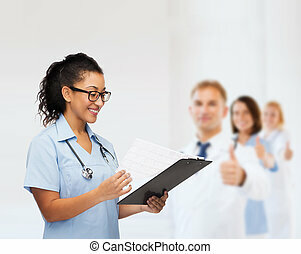 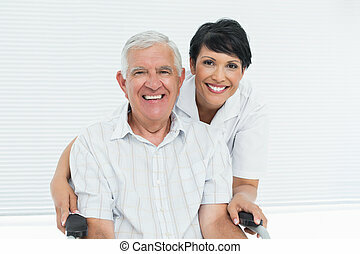 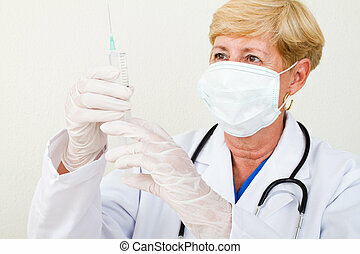 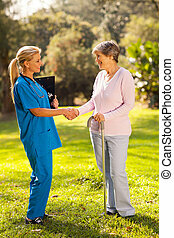 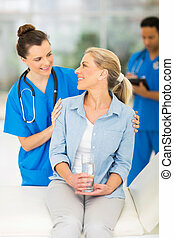 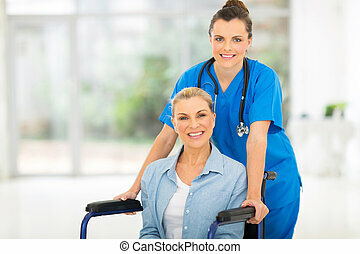 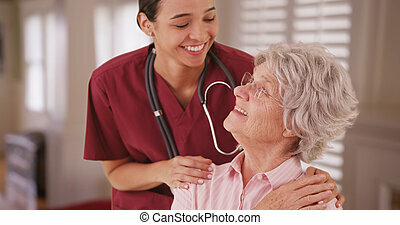 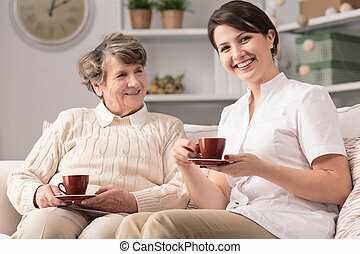 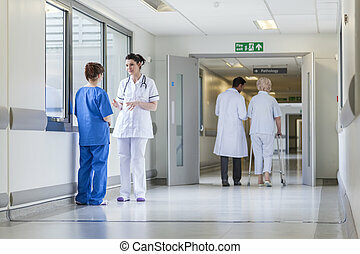 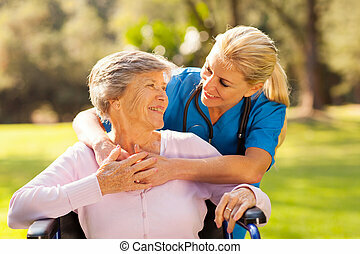 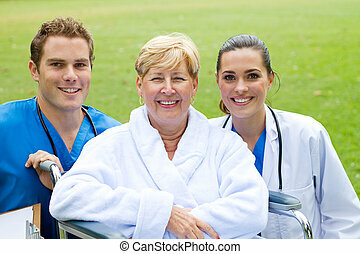 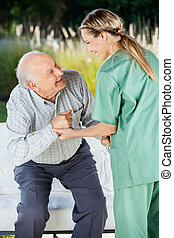 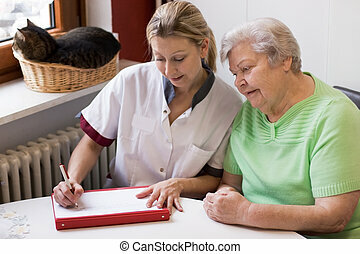 Happy senior patient with friendly female nurse. 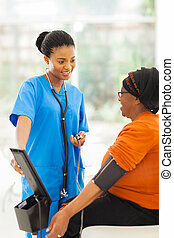 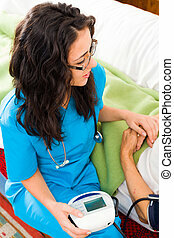 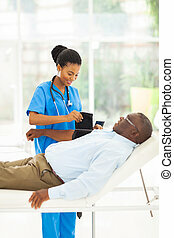 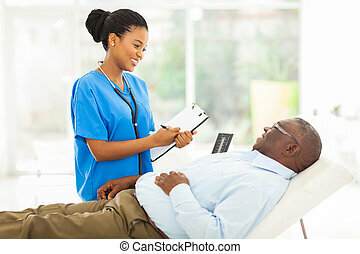 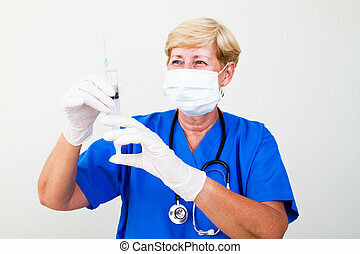 Nurse using digital blood pressure for senior patient.